Marine HVAC and Refrigeration systems. Our new high capacity system for marine refrigeration. This system is ideal for replacing aging high capacity systems from Glacier Bay, Grunert, Rich Beers and others. Read more about the Micro HPS 3500 in our products section. Pacific Seabreeze Marine is pleased to announce that it has become one of the Refrigeration Parts Solution, LLC companies. Pacific Sea Breeze joins RPARTS.COM and E-Z Kold.com as members of the Refrigeration Parts Solutions family of companies providing marine refrigeration parts, vacuum insulation, and marine refrigeration systems solutions. 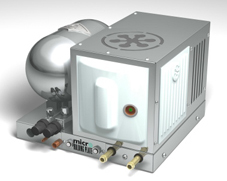 Pacific Seabreeze Marine is pleased to announce the availability of the Micro HPS 3500 system as a replacement for Glacier Bay refrigeration systems. The systems is an ideal replacement for Glacier Bay's Traditional, Whisper Jet and Mark II systems. When replacing these systems with the Micro HPS 3500 the existing holding plates and thermostats may be used saving the owner from the expense and time associated with a replacement of the entire system. Numerous replacement installations have been completed and customers report excellent results with the Micro HPS 3500 as a replacement systems for the aging Glacier Bay refrigeration systems. The team at Pacific Seabreeze Marine is pleased to announce the acquisition of their new product line which is already known within the indusrtry as"Ready-to-Mount" tm Ice box Hatches. Pacific Sea Breeze will offer the hatches through the website RPARTS.COM which has been known as "The Place to Find the Solution" to all your Refrigeration Parts needs for over 10 years. Check out the Pacific Sea Breeze "Ready-to-Mount" tm Icebox Hatches in the "Box Building" section of the RPARTS.COM website. 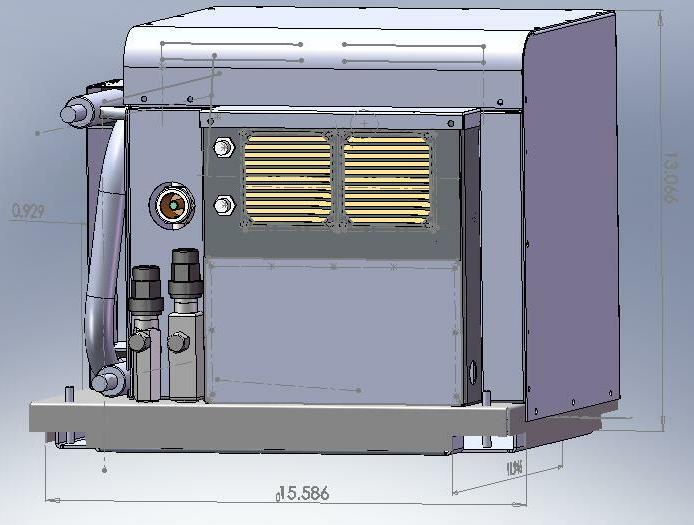 Pacific Seabreeze Marine has reached a distribution agreement with RPARTS.COM whereby RPARTS.COM will offer Pacific Sea Breeze AC powered Heatpump HVAC systems through the well known website. RPARTS.COM has been "The Place to Find the Solution" to all your Refrigeration Parts needs for almost 10 years and now they offer Pacific Sea Breeze HVAC systems as well. Check out the Pacific Sea Breeze HVAC systems in the "Systems and Kits" section of the RPARTS.COM website. Pacific Sea Breeze Marine assumes the support of all Glacier Bay Marine Refrigeration Systems! Watch for more information on this important development. You will be able to access wiring diagrams, manuals, and other information related to these popular systems. Pacific Sea Breeze Marine Products.